Whether it’s a custom gate welcoming guests to your house or a staircase that gleams as the focal point of your home, our 20 years’ experience ensures your dream project will be completed without a hitch. At Iron Age, we know our work directly affects how you feel about your residence. That’s why the pride in our work will ensure you have pride in your home. That’s our promise. From stunning metal residential railings to custom residential stairs, Iron Age Manufacturing LTD is here to help you make your Vancouver-area home look amazing. We offer over two decades of experience and are able to handle all aspects of your project, from design to installation. Refresh your space with one of our custom-designed railings. With the help of design professionals and architects, we create a variety of railings that provide safety without sacrificing beauty. Let us design, fabricate and install your custom rail so you get a great look that adds appeal to your space. Order an iron railing, glass railing, metal railing or whatever you need—we make them for all applications. Embrace your home with something finely crafted and unique. 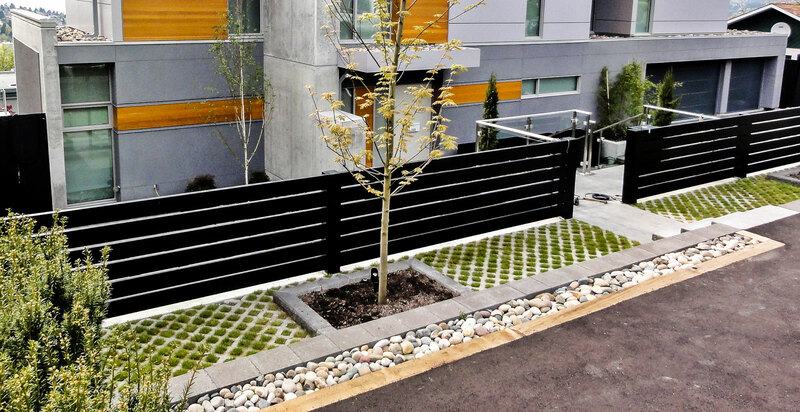 Our custom fences will protect your space, while their design will reflect your style. We craft and construct both indoor and outdoor fencing at any height you need. Whether you’re searching for a metal privacy fence or a decorative one, we’re here to help you get it installed just the way you like. Secure your residence with one of our stunning handcrafted metal gates. Whether it’s to provide security to your driveway or access via a pedestrian gate, Iron Age Manufacturing LTD has the expertise and flair to make good on your vision. We’re able to create and install the most elaborate of metal gates, and we can even add flourishes such as scrollwork, a family name or your home address. From a spiral staircase to exterior metal stairs, our company has mastered the art of the custom staircase build. Whether you’re searching for a very modern staircase or something more traditional, our design team can craft something truly special—including a stair handrail to match. We build and install staircases for both indoor and outdoor spaces, and with professional designers in charge of the plans, you know the final result will be amazing. It’s important to be and feel safe when inside your home, but your house doesn’t need to look like a jail cell to be secure. There are a variety of metal door and window options that will ensure safety and still look pleasing to the eye. Let our design team show you some examples of the decorative metalwork we have forged to fit over windows and doors. You can select one of many stylish patterns or come up with your own. We’ll make sure it’s made to your specifications and installed perfectly. Are you looking for something more than just a plain, practical cover for an entryway? Our stunning canopies are architectural metalwork that enriches the design of your home while serving a practical purpose. Where else can you take cover and look good, too? Our custom metalwork can be made to fit any entry area you like, and our professional installation team will make sure it blends with your existing roofline and the overall structure of your home. If it can be made from metal, Iron Age Manufacturing LTD will design, manufacture and install it! Custom projects are our lifeblood, and we’ve done everything from highly decorative deck railing designs to circular stairs, metal estate gates and so much more! The possibilities are endless. What vision can we bring to life for you? Contact our office in Vancouver to talk about your next project. Contact us for custom residential metalwork! Have we given you some thoughts for how to improve your home? Drop us a note indicating what ideas you have and we’ll get back to you shortly. Our estimates are free, so what have you got to lose?